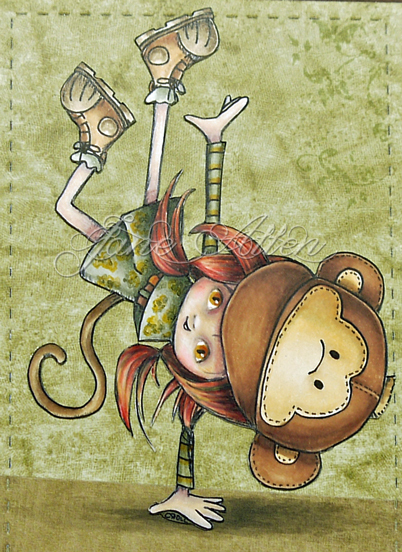 Jane's Box of Colours: Time to monkey around! I stand (or sit at the moment) in awe of your colouring skills Jane. This is amazing! What Laine said !! Absolutely ditto! Oh HUn your colouring is truly amazing, I have been sitting here drooling, I love the image such fun, see I will have to make a trip over to Tiddlyinks. Fantastic from feet to crazy monkey head. Hugs! Fab card! I love how you coloured up her outfit. Amazing card Jane! Love the design of your card and your coloring is as always amazing.